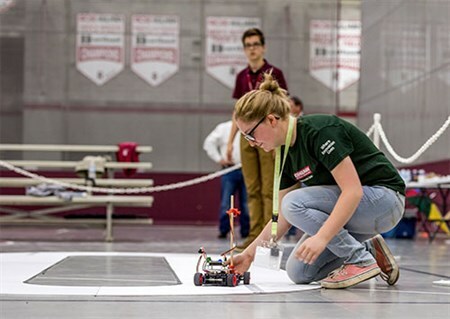 We host high school teams from around the country in a fast-paced, exciting autonomous vehicle challenge. It's a fun and exciting way to improve your math, science and engineering skills and put them to the test! 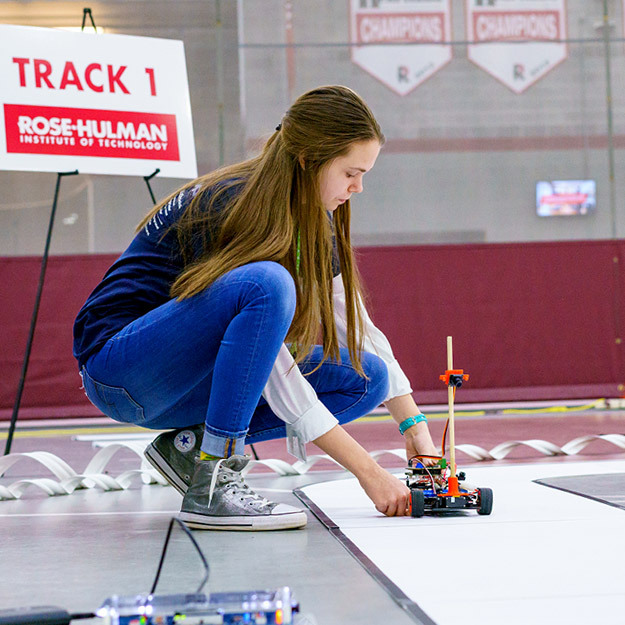 Bring your best game to the Rose-Hulman High School Autonomous Vehicle Challenge! Your goal: Maximum speed without losing control. Going fast is only part of the challenge; you also need to keep your vehicle on the track, making the best time you can while staying between the black lines! 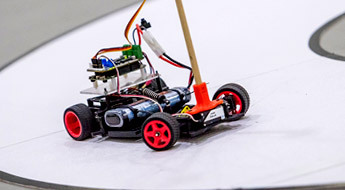 Autonomous vehicles include microcontrollers and sensors to drive autonomously around oval and clover-figure race tracks. Each team has a minimum of five students and must have at least one female or minority student. All-female/all-minority teams receive special financial incentives. The next Autonomous Vehicle Challenge will take place Friday, March 13, 2020. Get more details about the competition. 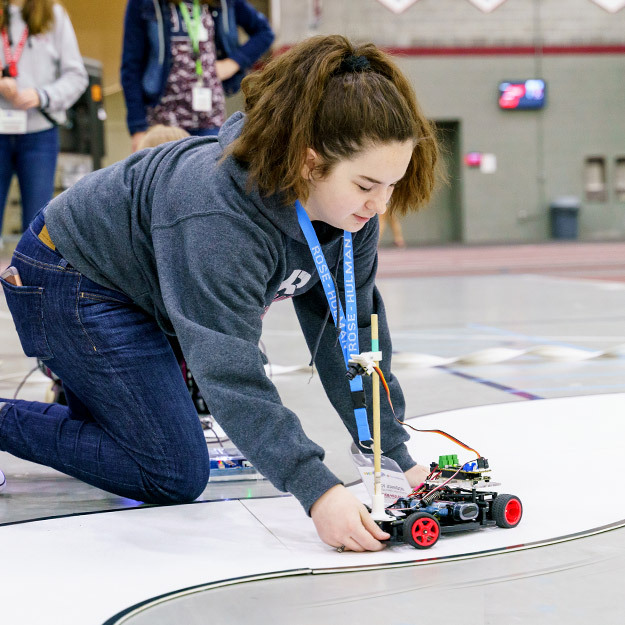 Students from around the country come to our campus to test their abilities to design and build miniature autonomous vehicles in this yearly event that's not your typical robotics challenge. 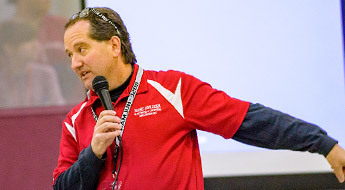 Contact Dr. Marc Herniter, faculty sponsor of the Rose-Hulman Autonomous Vehicle Challenge, with your questions. 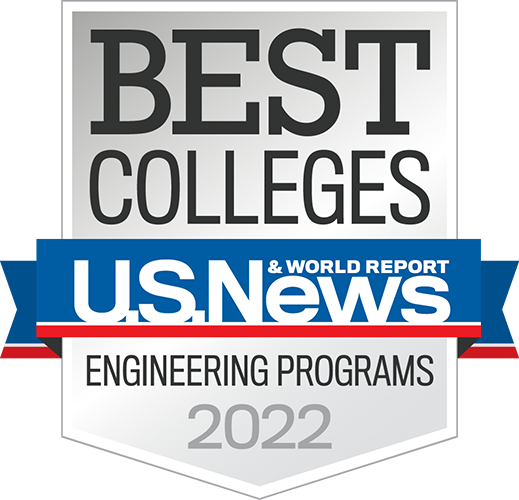 Attending Rose-Hulman could be the smartest decision you’ll ever make. Want to know more?